1. Shop in charity shops. You never know what you might find there! Markets, eBay and independent shops are also good choices, although not all independent shops are cheap, some are and it's good to support these small businesses over huge ones that just don't need your £5. 2. Buy presents early - I think this is a tip everyone spews out but it's true and I wish I stuck to it! I never do, and always leave it too late! Next year, I swear, will be the year I shop in sales and spread it out so it's not a huge dent in December. 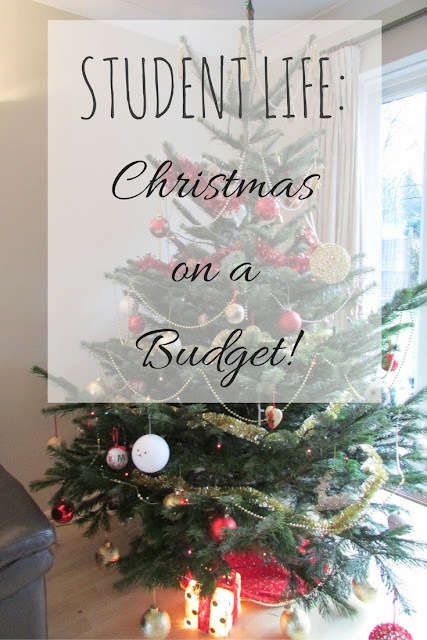 It's a particularly dry time of year for students as our loan is spent and we have to wait until January until the next instalment comes through. 4. Make what you can! Personal gifts are so much more lovely in my opinion, if you can draw or paint, then do that! My parents keep pestering me to send them some of my art to put up in the house haha. I'm also going to make some of my own Christmas decorations, I know on Christmas day it's a bit late for decorations, but they can be saved for next year, and can be treasured forever. 5. Agree with others in the same situation to not buy presents for each other, or set a limit. 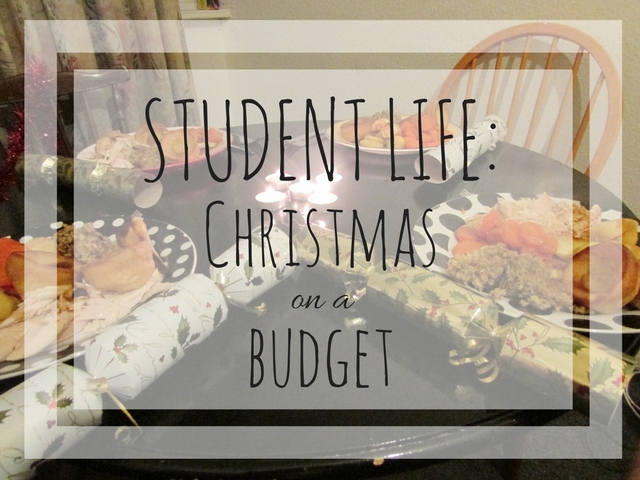 I live with three of my friends and this year we agreed to not buy each other presents this year, instead, we all chipped in for food and crackers and cooked ourselves a really great Christmas dinner and watched a Christmas film together. Sometimes just making that extra effort to spend time with someone, without distractions, is way better than any gift you could give. These are some really good tips for students. I am saying this as a student myself.